One of my favourite parts of any wedding is the cake. I love how many different styles, tastes and decorations there can be, and how personal it is to the couple. After the exciting announcement of the Royal Wedding, and the delicious sounding cake they have chosen, I desperately wanted to create a one off cake to mark the occasion. 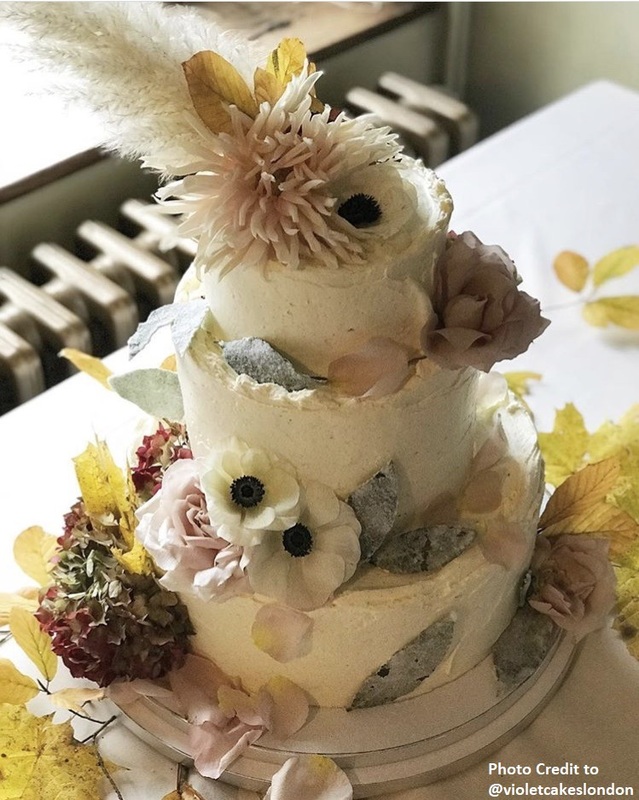 When it was announced that the wonderfully talented Claire Ptak from Violet Cakes had been chosen to create the Royal Wedding cake this year, I started looking into her style and after looking at her portfolio I am really excited to see the cake she creates. 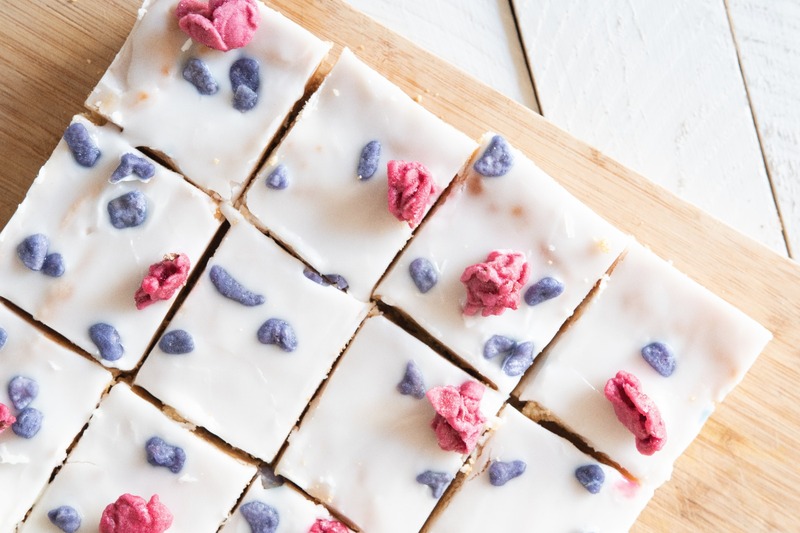 Her taste is all very modern; there is no royal icing in sight! I am hoping for lashings of butter cream and the most beautiful edible flowers. Since the announcement, word on the street is that Meghan and Harry have opted for lemon and elderflower, two spring flavours that work together so beautifully. 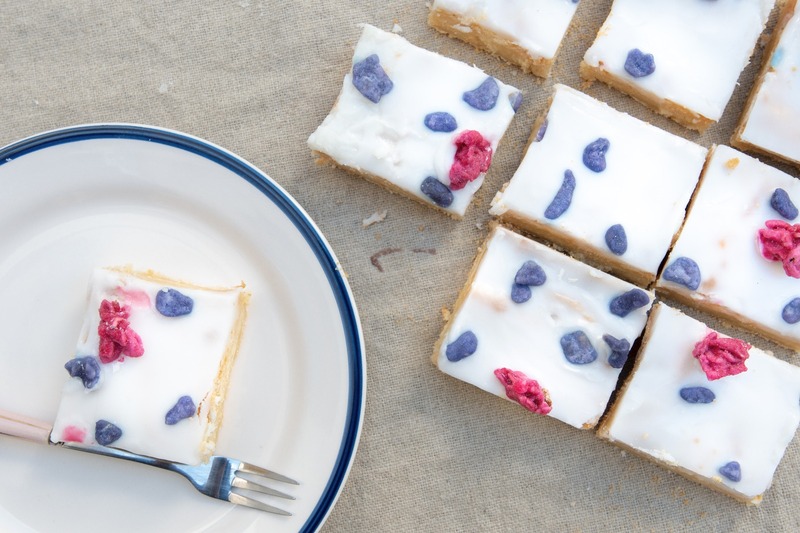 Us Brits love getting involved with any Royal celebration, so with all this in mind I got straight in the kitchen to create the perfect Royal Wedding inspired tray bake so that everyone could enjoy a slice of lemon and elderflower cake on their big day! 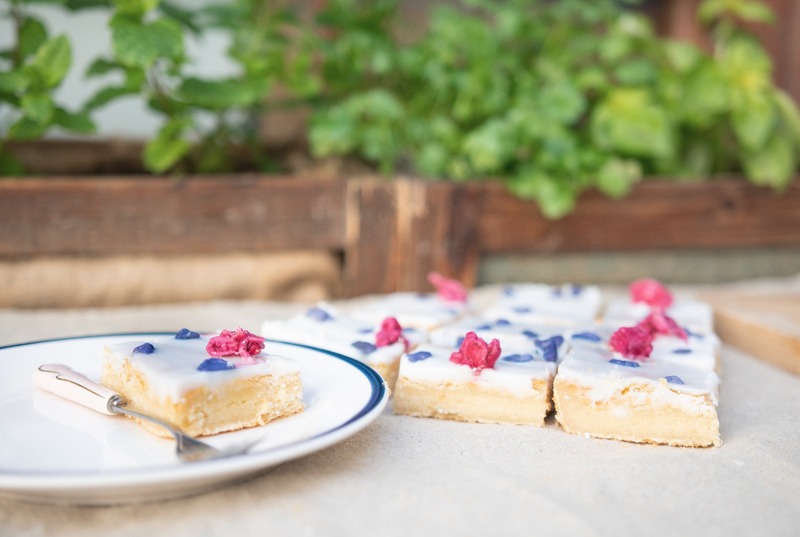 To add my signature Ridiculously Rich twist, I came up with a rich and delicious lemon blondie, topped with a refreshing elderflower drizzle and edible flowers. I started with one of my favourite blondie recipes, I have made this so many times that I thought it was fail safe! Not so much... For some reason the cake erupted in the over, spilled over the top of the tin and left me with what can only be described as a molten “pan” cake. Bit of a disaster! But it smelt delicious! 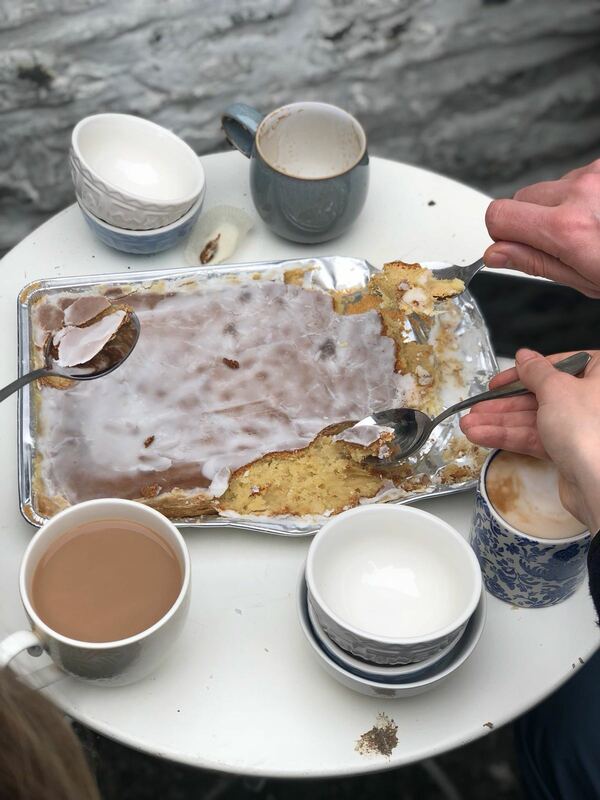 Waste not want not; I added the elderflower topping to test the flavour combinations and although I may have added a little too much elderflower first time round (can you tell I may have been a tad over excited to create this cake!) it was super delicious. You couldn’t slice it, and actually had to eat it with a spoon! 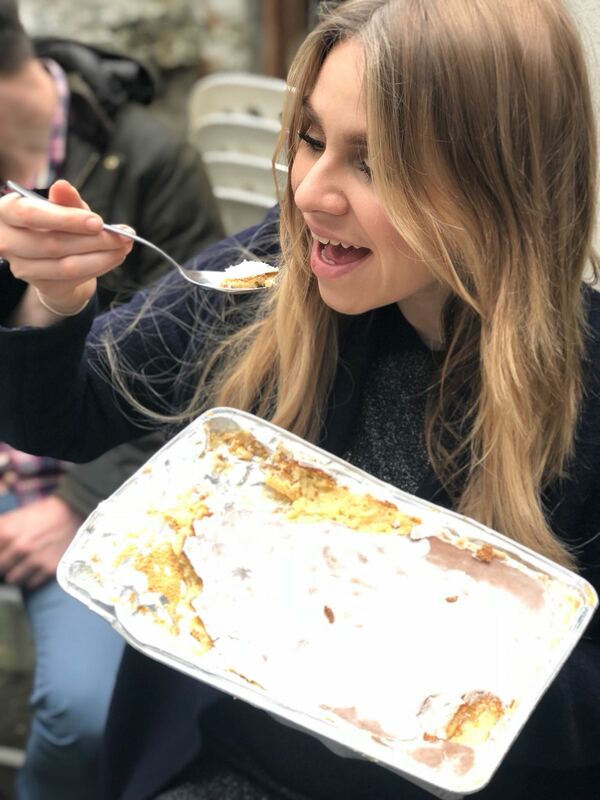 But it was delicious! I checked over and over my usual recipe until I realised, I had got a little carried away and added double the amount of eggs! How I still make these little mistakes I do not know! At least I got there in the end! The cake was remade with the right amount of eggs and perfect balance of elderflower, and this was the end result. I know you are going to love it as much as I do! This is a one off, limited edition to celebrate the occasion, so to order a box to hold your own Royal Wedding party on the day, head to my website and pop it in your basket for it to be delivered in time for the big weekend. I know I will be watching the wedding, tucking into a slice of this delicious cake with a glass or two of Pimms!